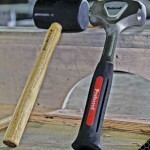 The Proferred 16oz Rubber mallet is made with an all natural hickory handle and black natural rubber. The Proferred 3lb Forged Club Hammer has a solid steel head, with a metallic finish and polished striking face. Designed to reduce vibration. Double injection grip provides great comfort. 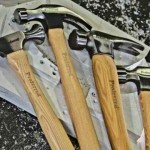 The Proferred 21oz California Framing Hammer is made from 1055 meduim carbon steel with a fully polished metallic finish and a natural hickory handle.